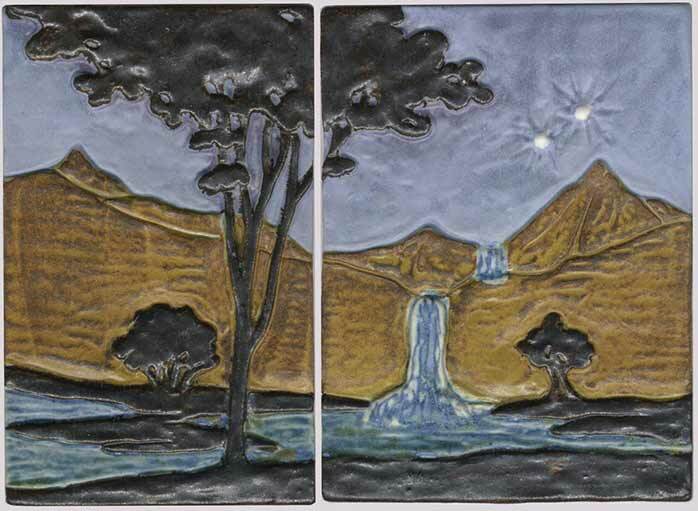 This landscape series is available either as individual tiles or a set. The complete set consists of 6 tiles. The six-tile set measures approximately 7" high by 29 1/2" wide (without gaps between tiles). You decide how many tiles you would like and which ones. 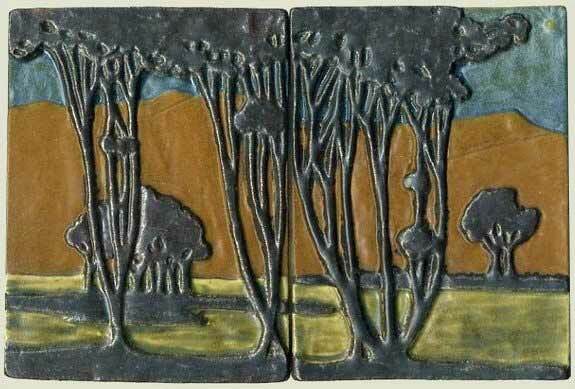 The tiles are sculpted in relief to create a 3-D effect. Tile number 6 is a linking tile that allows the set to join to itself and repeat the pattern. In addition, there are several ways to arrange these tiles and you choose how to display them. You may to insert grout lines between tiles which will increase the width of the set. 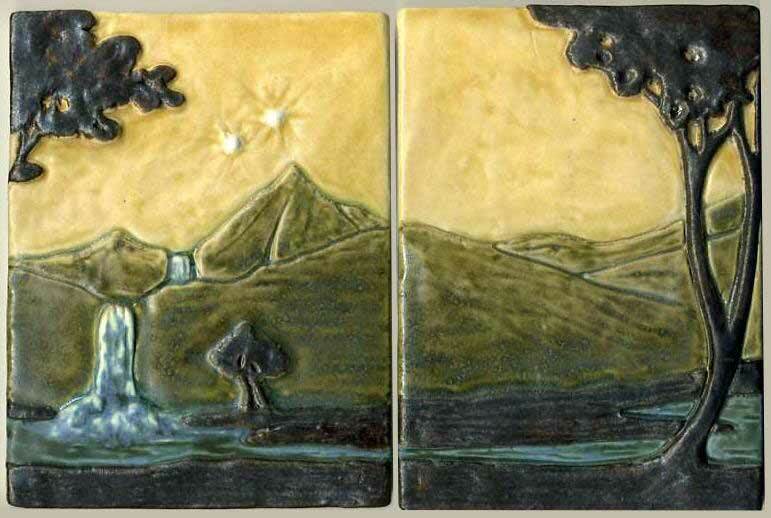 The landscape tiles will be custom glazed to your specifications, creating a unique tile set. Many color combinations are possible. We can alter the color of the sky, mountains and water. Colors shown: six tile example shows sapphire blue sky, deep turquoise hills, slate blue water. 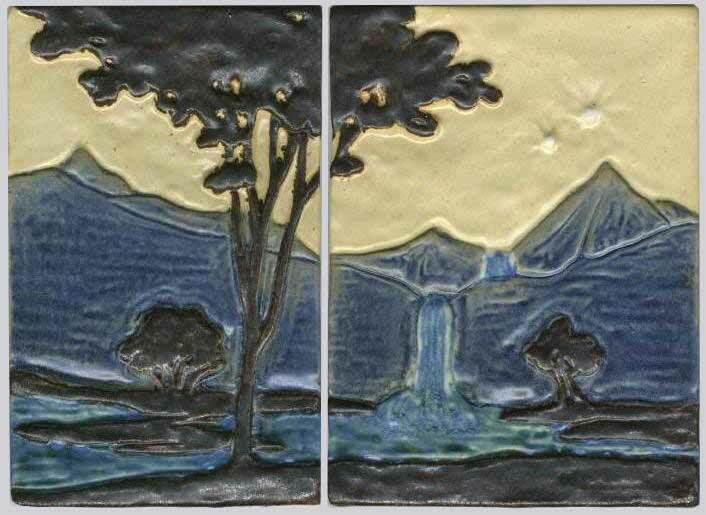 Two tile examples show: cream sky with Ravenstone blue hills; blue-violet sky with iron oxide hills; daisy yellow sky with sea green hills; and blue-gray sky with butternut hills.